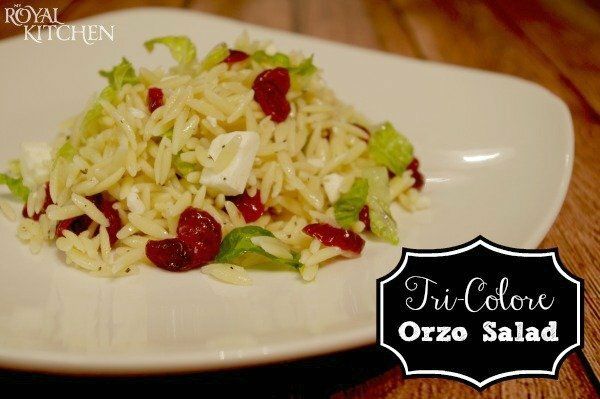 Tri-Colore Orzo Salad is favorite recipe amongst my girlfriends and me. One of the best things about it is that it’s so versatile! You can add as much or as little ingredients as you’d like or change it up all together. I like to eat it as a side dish to grilled chicken and then have the leftovers for lunch the next day. Make sure you add this easy recipe to your list of things to do! 3 Tblsp. extra virgin olive oil plus 1/4 c.
Bring a large pot of salted water to a boil. Add the pasta and cook until al dente, stirring occasionally, about 8-10 mins. Drain and spread the pasta out on a large cookie sheet. Drizzle with 3 Tblsp. olive oil and toss together. Set aside to cool. Once the pasta has cooled completely, transfer it to a large bowl. Add the remaining ingredients and toss gently to combine. Serve. Use more or less of any of the ingredients to achieve the taste you're looking for!